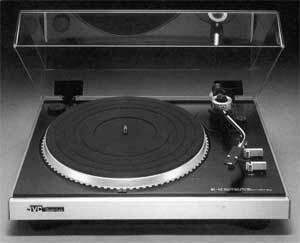 The JVC QL-A2 features a two speed, direct drive motor unit and automatic arm return mechanism. JVC QL-A2 / QLA2 owners manual, service manuals and schematics are for reference only and the Vinyl Engine bears no responsibility for errors or other inaccuracies. The PDF files are provided under strict licence. Reproduction without prior permission or for financial gain is strictly prohibited. This website is not affiliated with or sponsored by JVC. Posted Thu, 07/28/2011 - 17:23 by clhathaw. Hi, so my friend's dad gave me his old JVC QL A2 and it needs speakers. I have never had to purchase speakers before, all I know is there is a cord with a red end and a white end which I think plugs into them? Can anyone help me with types of speakers, brands, models that work well with this record player? Posted Mon, 08/29/2011 - 06:33 by mechstek. Hi. Any integrated stereo amplifier or stereo receiver in decent condition that you can get your hands on should have the proper "Phono" inputs for your newly acquired JVC turntable. Then you'll need the speakers. Good luck! Posted Fri, 04/08/2011 - 00:21 by mcarlson13. Just found mine at a secondhand store. payed $6. Plugged it in and absolutely nothing worked. so i opened it up only to find that i wasn't the only one who saw potential in the old thing. i saw a lot of bad solders, modern switches, new wiring, and other inconsistencies. So i'm gonna try my hand resurrecting it. my main goal is to get it to spin. i needed a direct drive turntable for a vinyl record lathe i'm building. anyone have experience? Posted Wed, 03/23/2011 - 21:41 by skooldaze. Posted Wed, 02/24/2010 - 18:06 by SGH. Is the quartz-lock system repairable any more? I'm not very technical - but the speed is no longer constant, don't know if the direct drive has completely lost its grip, and not sure if parts can be found even if I can get help in the Dayton-Columbus area to make the repair.... 1978 was a long time ago, wasn't it? Got mine in '79. Posted Sat, 01/29/2011 - 19:51 by brentl. I had same problem with my Ql-A2 today. Having purchased a replacement stylus as I had received an analogue to digital (PC) interface from Santa Claus, I tried the turntable for the first time in 10 years looking forward to digging our my Stephen Stills LP's (plus about a million others i forgot I had - nice..) and transferring to mp3 . On first attempt it was jammed on 45RPM - I switched the speed selector knob back a forth a few times between 45/33 and it slowed down to 33 ish but the speed was inconsistent and generally too fast. I then fiddled again with the speed selector and it settled at a consistent 33RPM with the Quartz lock showing a steady state. I have since applied electrical cleaner to the knob from above and seems to have held. Thought I'd share this low tech solution as it may work for others..! Posted Thu, 06/16/2011 - 05:44 by stephenmarino. Hi, This is my first hour with this site. I am amazed!! I lost track of my 1000+ record collection about 10 years later. After 40 years I actually got it back! Can you tell me how you like yours and where it was purchased? Also looking for nice used RIAA preamp..., so if anyone out there knows of a good place to go for this, please let me know. Posted Mon, 04/12/2010 - 18:30 by parasound. There are 2 adjustable(by screwdriver)potentiometers, 1 for each speed. You need to open the bottom. They are black and vertically mounted on the main circuitboard. Try to adjust the speed a little bit at the time until quartz control circuit is able to lock again. Posted Sat, 03/19/2011 - 00:54 by RickAP. I recently brought my JVC QL-A2 out of retirement and hooked it up to my amp and it seemed to have a mind of it's own, regarding speed, So after seeing your post I tried your suggestion and it worked. Thanks. Posted Mon, 11/23/2009 - 07:25 by oyvjorgensen. Has anybody tried to get it better? replace the cables or PU or tonearm fx? Posted Thu, 07/09/2009 - 03:46 by powerupfleet. 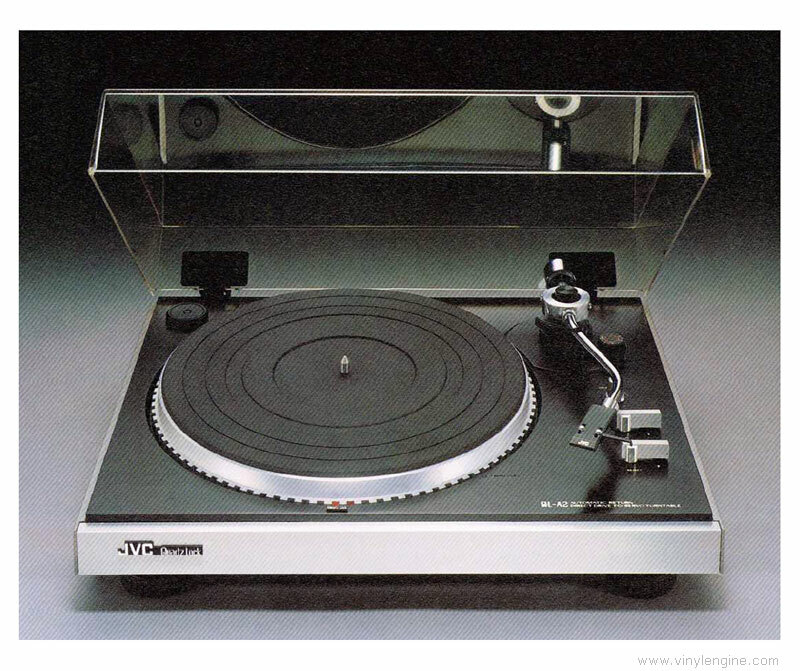 It wwould be great if someone had a manual - I have this turntable and everything works great except the tone arm is not returning to the cradle properly. It returns to the cradle and then back to the center of the record. Any ideas? Anti-Skipping adjustment? Posted Mon, 04/19/2010 - 13:00 by InventiX. Fixed this problem with replacing the Black Foam on the metal arm (inside, near the Reject knob). Used foam from a stiff Mousepad. Posted Tue, 08/25/2009 - 21:16 by marcusTT. I have the same problem with mine. Tried to adjust balance and some other things that didnt work. One thing I realized though is that the arm stops at different places dependig on how close the arm gets to the center pin. You can hear the armclick in the machinery while pushing the arm against the end of the last tune. If you let it go there, it will go back closer to the armrest. Dont know if it´s at any help for you. Posted Tue, 03/10/2009 - 02:11 by Syntaxed. Does anyone have a service manual for the QL-A2? Posted Thu, 07/02/2009 - 16:57 by earlessdog. Is it safe to assume that the JVC QL-A200 is the same thing as the JVC QL-A2? Because the turntable in the picture here is not the same as the one that I own. Posted Mon, 03/29/2010 - 17:18 by Emperormaul.